Blogging has seen a rise in the recent years and new blogs are surfacing on the Internet every day. When you decide to start a blog, the first questions you ask yourself ‘how and from where do I start a blog?’. After making a research, you’ll find that WordPress is the most preferred blogging platform. WordPress offers two platforms to choose from: WordPress.com and WordPress.org. This article will help you in understanding the differences between the two platforms which in turn will help you choose the right platform for your blog. The main difference between the two platforms is who hosts the website. You will have to host your own website or blog if you are going with WordPress.org. From WordPress.org you can get the required software to install on the web server to host the blog. With WordPress.com, you do not have to bother with the hosting part. WordPress.com does the hosting for you. If you do not want to spend money for hosting or managing your blog or website, WordPress.com would be the best option. It is free and easy to get started. WordPress.com uses the open source WordPress software. Regarding the cost, it is absolutely free up to 3GB. After that you will have to move to a paid plan depending on the type of blog you have. WordPress.com requires very little from users. Users need a basic understanding of the platform and dashboard and after tinkering around with the themes and features, you are all set to go. Since WordPress.com requires very little from the users, users can focus more on their content. Setup is really easy. WordPress.com gives you simplified options to set up your website or blog. WordPress.com provides both security and backup. Also, some of the cons can be overcome by upgrading to a paid plan. The paid options allow you to get a non-WordPress domain name, remove the WordPress ads, upload videos, etc. A benefit of being a part of the WordPress.com network, your website or blog may get featured by WordPress and get additional traffic too. You won’t be able to upload any custom themes or plugins. You have to choose from whatever WordpPress.com already has. You don’t have access to the coding of your blog. WordPress.com also displays ads on your blog, from which you will have no benefit at all. You can’t use Google Analytics unless you are on the Business Plan. But WordPress offers a decent Analytics feature. You can sell things through your site, only if you have paid for the Business plan. Your blog or site can be turned off by WordPress, if you violate their terms and services. WordPress.org is free of cost. Here, you will have to do the hosting on your own. 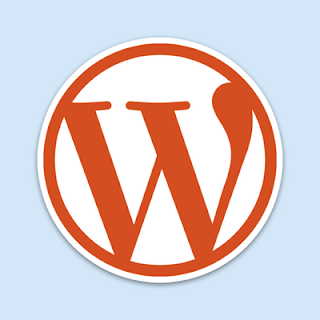 The WordPress software to be installed on a web server can be downloaded from WordPress.org. A self-hosted version of WordPress means you can use a domain name of your choosing, upload custom themes and plugins, can access and edit the code of the site. When you begin, you’ll need some technical knowledge, you should have familiarity with hosting and getting domain names, you should also have an understanding of how to work around with the WordPress dashboard. For hosing purposes, you will have to get space on a hosting company’s server. You are in control of you blog or website. You can customize it any way you want. You own the content! WordPress cannot take down your blog or website. You can place your own ads. You can use Google Analytics to tack and analyse the traffic details. You can use custom themes, or create a design from scratch. You can modify this whenever you want. You have access to the code of your website. You can edit this as you wish. You can start an online store, give premium memberships, etc. using WordPress.org. You need to pay the hosting company for their services. You are responsible for backup. There are many backup plugins that you can make use of. You are responsible for updating your WordPress site. This isn’t much of a hassle. If you’re blogging just as a hobby and not looking to monetize, then you can opt for WordPress.com. Else, go along with WordPress.org. For businesses, I would prefer WordPress.org because of the extent of customisation that you can do on the site. Get all your amazing gaming videos here. Get any football match here past and recent ones.And also subscribe to the channel to get updated or notification on new content.